Can you feel the cold setting in out there, London? It's coming and the coats are officially out of storage and starting to be worn from Chelsea to Hackney. When it comes to investing in new pieces for the season, there are a handful of coats we've been dreaming of ever since they were first showcased last February on the catwalks. There's one, in particular, that has stayed on our "inspiration wall" now for over six months. 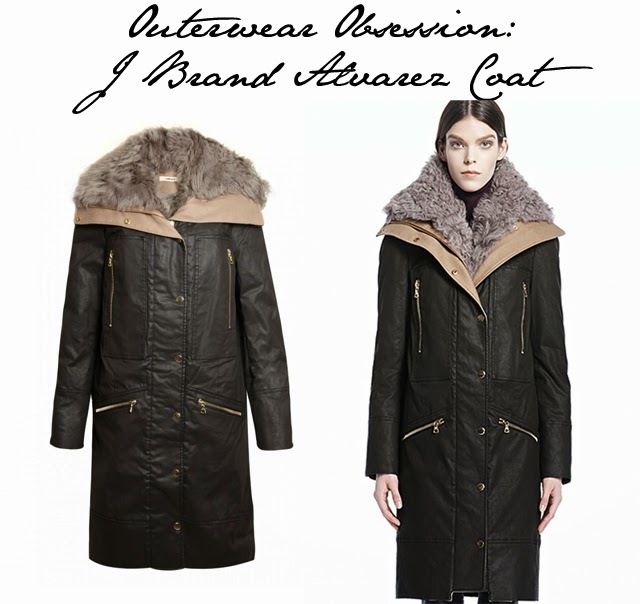 We're speaking of the J Brand Alvarez Coat. Truth be known, we were looking at this coat together with Donna Ida back all those months ago and discussing our mutual love for the piece. So it is with great pleasure that we announce that Donna Ida is carrying the piece in her London Boutiques (find online here). Donna... you already know we worship at the altar of all things Ida. Now, you are our official style godmother! Mucho love for carrying the coat of our dreams.